We therefore aspire to be the gateway for Africas leadership development, fostering the highest standards of postgraduate education and advancing knowledge and professional skills in a wholistic context. In achieving this, we pride ourselves in offering value-based education. An education of this kind imparts far more than academic knowledge. It fosters a balanced development of the whole person "spiritual, physical, intellectual, and social-emotional" a process that spans a lifetime. Our challenge for the future is to build on this strong base to establish ourselves firmly among the worlds leading universities. 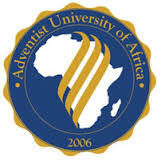 We welcome students, staff members and other stakeholders to join us in building human resource for the entire Africa. The rapidly growing membership of the Seventh-day Adventists Church in Africa challenged its leaders to find solutions to the questions of increasing demand for committed professional leaders with knowledge, skills, and an attitude of service at all levels of the Church. Leaders, pastors, and educators realised that the solution to the challenges was inextricably linked with postgraduate education within the territory of the growing church. They sent an appeal to the General Conference of Seventh-day Adventists (GC), requesting the opening of such an institution.